We are already in april and our monthly photo contest is ready ! This month, saltwater hooks are in spotlight. We look forward to see your nice pictures, and if you want to follow the theme, we’d love to see your crispy salt water shots ! 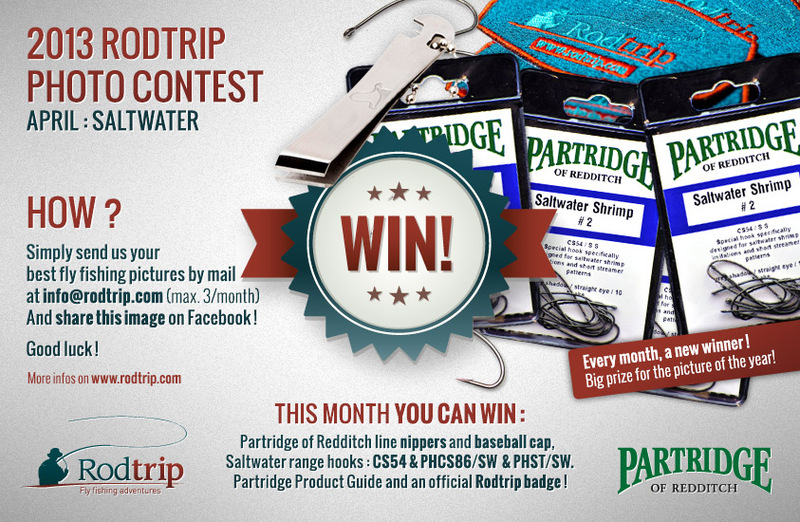 If you want to win some Partridge Hooks and goodies, simply take part to the contest by sending us your best fly fishing photos by e-mail at info@rodtrip.com ! Of course we thank all the people that took part to march edition of the contest ! The winner of march will be knew monday 8th april.